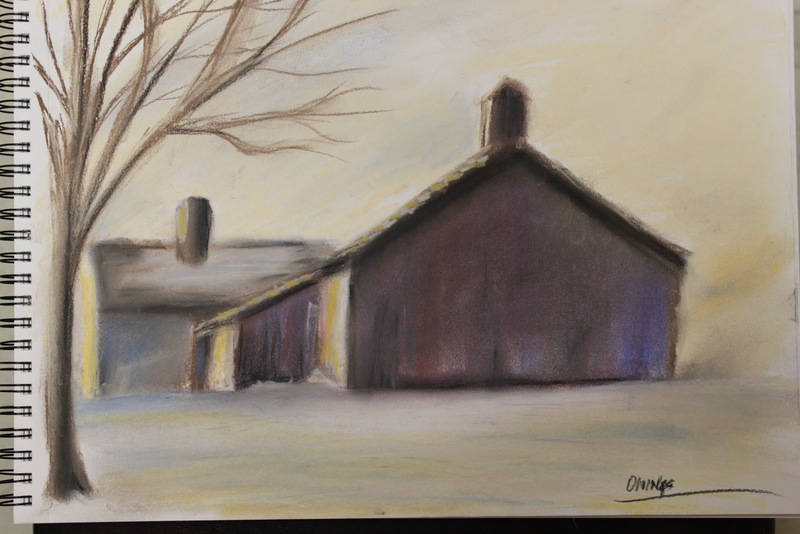 This is simple pastel drawing of a barn in wintertime. Someone who paints in oil once told me to avoid the "blue" sky whenever possible. When I asked him why, he said not only was it cliche, but it's often unrealistic. If you look at the sky or just about anything in the world there are many more colors involved than you might at first perceive. One of the first lessons I learned with any art is to look closely at your subject, not just for detail, but for color, light and points of contrast. I'm very certain that lesson helped me become a better artist. In this pastel drawing I am just trying to capture the mood.